You may be looking at the title thinking that your beloved Gut Guru has lost the plot... but do not worry! There really is a connection to be made between dogs, vegetables, and... how did you guess? Of course, it all comes down to poo. There was a wonderful little article in the BBC the other day about the tax on dog food for guide dogs. It discusses the type of dog foods guide dogs must eat, and, unlike racing hounds, guide dogs require a relatively low protein diet as they do not expend as much energy. Apparently eating too much protein would cause the dogs to develop irregular toilet habits, causing difficulties for the blind owner. Therefore the dog food they need to eat is high in fibre and vegetable goodness! So the real question is, for us as colon therapists: how much protein is too much? For dogs, the answer is clear: the less they move, the more vegetables they need in their diet. And vice versa. 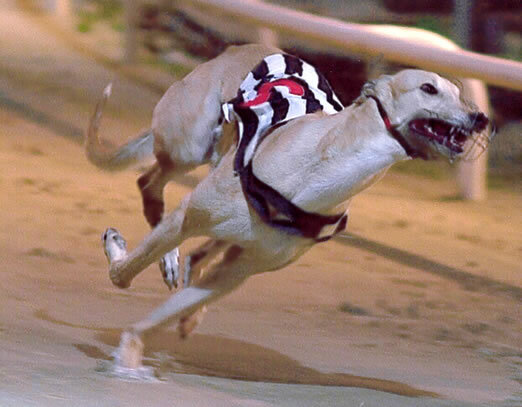 Racing dogs just need to eat meat to be successful. So what about us humans? If we are not running around for a living should we be consuming so much protein? We are not all athletes so should our protein intake correlate to our lifestyle to avoid irregular toilet breaks? But then again, we need animal protein for body maintenance and repair. Please share your thoughts and advice. On the 3rd night at Health Retreat Spain we caught up with some guests who came to the retreat at the end of February, and they are now back, eight weeks later, for a top-up. They are both from the UK, and having become friends in February, they have decided to come back again now at the start of May. They are spending a week here. Their plan is to eat for the first couple of days, then do just juice for three days, and then go back to sampling the gorgeous food at the end of the stay. So, we asked them what they were expecting to get this time from the stay that they did not get the first time. Alyn, who is a make-up artist from Manchester, said: "The first time you get here, everything is new. I went the whole way with Carol and Andy on food and exercise and juicing and this made a big difference to me. I have stayed on vegetarian foods and juices since then, without any effort. I feel good. Now I am back here because the atmosphere and the energy here enable to to spend time with yourself, and to process stuff. This time I am taking from it what I need in my life right now." Louise agreed: "The beauty of this place is that no one is forcing you to do anything. You can take it as far as you personally want to, do as much or as little as you wish. I am here for me". Many people come here to become more active, and a walk is always on offer at 10 am. Andrew told us not to miss this morning's walk, so we went along. Down a hill, up a hill, down and up - and this was the most gorgeous view that one could imagine. Leading by example is a big thing here. Listening to "office conversations" of admin staff actually makes this all a lot more real. Where else would you hear this - "I haven't bought any dairy for three weeks now...we don't even drink a quarter of what we used to.... last night we went out and there was prawn cocktail and pork on the plate and I did not even manage to get through a quarter of it..." This is not for the show, and this is where the real change lies. Six years ago Andrew and Carol would have laughed at anyone who would tell them that a diet could make a difference to their health. In fact, Andrew remembers walking out of a personal development seminar when the seminar leader suggested that going vegetarian could improve health. He only agreed to stick with it for a month because Carol wanted to try it. Now, six years later, Andrew is a firm believer that health, diet and lifestyle cannot be separated or compartmentalised. What will you discover on your path to a healthier lifestyle at Health Retreat Spain? 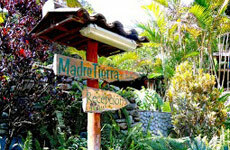 A secluded spot, in the tranquil village of Vilcabamba, engulfed in natural beauty, you will find one of the most unexpected wonders; Madre Tierra Resort and Spa. As well as the magnificent atmosphere and environment, this resort also has an eco-friendly policy, using water pumps and solar panel heaters. They also produce a large crop fruit and vegetables, organically grown on their grounds, which they use in their restaurant. Visitors arrive from all over the world for a variety of reasons. Many of these turn out to be kindred spirits ranging from students and teachers of the arts, new science, deep ecology and environmental activism to ones who seek to lead a more peaceful and sustainable lifestyle free from the pressures of life in North America, Europe or Australia. The resort is not situated in the jungle (though the jungle is a reachable distance away) so there is no need to worry about mosquitoes and other nibbling creepy-crawlies. You do not need to worry about visas and vaccination which makes the visit even simpler and much more relaxed. It truly feels like home to home; ensuring that it really is an easy stay the facilities are modern and comfortable. Does this sound and look like paradise to you? Well currently this beautiful establishment is recruiting and they are looking for a new colon hydratherapist! It’s such a unique and exciting opportunity; we could not wait to share the news! The resort has been under new management from 2010 and the new owners are looking to grow ‘their family’. The company takes pride in creating a homely atmosphere and that is reflective in the staff attitude. If you would like to be part of this friendly, family oriented and homely environment, this is the perfect opportunity. Meet Carol and Andrew West - two people who leave their life behind in the UK, get in a van with all their worldly possessions which include some books, videos and a chocolate labrador, go to Spain which, as we all know, is tumbling down under the weight of its debt, start a health business from scratch, make it profitable and open and 26-bed vegan retreat two years down the line? What are they on? Well, Carol is member of RICTAT, colon hydrotherapist, raw chef, juice guru... this was our - Kat's and my - excuse. We just had to check it out. The place: Obsidian Retreat in Benissa, Spain, about one hour's drive from Alicante Airport. Alicante is less than two hours' flight from the UK, so getting here from anywhere back home is not difficult at all all year round. a healthy lifestyle, to delete junk out of their system, to do some gentle exercise, such as walking, yoga or rebounding, or to rewire their brain with some clever mindset classes. There is one tomorrow afternoon, so more about it in the next blog. Breakfast is usually a juice. For lunch, there is a choice of a juice or a salad, and the same for dinner. Every Friday there is a themed gala dinner. Yesterday the theme was "French Food". Amazing salads, pate, mushrooms, ratatouille, potatoes au gratin, apple strudel for desert - all lovingly prepared by Obsidian's own chefs under Carol's guidance. Kat and I got here just in time for that glorious feast. The rooms are very comfortable, the pool is lovely, the atmosphere is calming and soothing. Yesterday we spent some time in the sauna and the Jacuzzi. We will be doing the same today, but having pre-warmed out systems with a shot of pure ginger juice.Wicked! Our livers feel very exited about this all and look forward to a bit of junk dumping, in the nicest possible way. Galina says: I have only been here for a day and a half, and I already feel more grounded and positive. I am definitely going to suggest the retreat to my clients. It's so close to home and so well run that I think that it will be more beneficial than Thailand, Turkey or Mexico, where these things usually take place. Financially, it will be a fraction of the price of the journey. A week here will definitely reboot you for a good few months. Kat says: The friendly atmosphere mixed with peace and quiet is just what I needed, The perfect place for relaxing together with tasty food and yummy juices all of which are prepared for you so even if you've never juiced before or are already a juice convert there's plenty of variety for you to enjoy and new recipes to try. I'll be recommending that my clients visit Obsidian Retreat as the intimate feel and personal service together with the convenient travel time makes it a fabulous sunshine retreat. Tomorrow we'll try to grab some time with Carol and Andrew and figure out what the secret of their runaway success is.... Do't go away! To learn more about these fabulous people watch this space and in the mean time click here to visit the beautiful website.